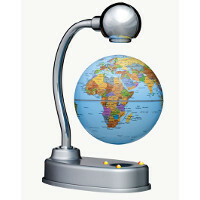 Every desk or classroom could use decorative table top Globes and interactive Globes. Remind yourself of the world outside work when you need some perspective by exploring the points of the small tabletop Globes with map details. 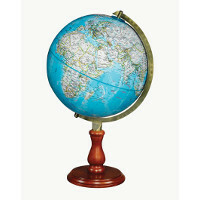 Beginners� Globes, like the Kids� Globe with drawn animals and people or the blue ocean Globe, are great geography teaching tools in the Early Childhood Classroom. 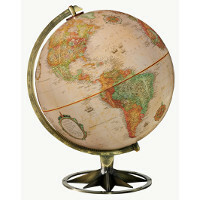 As students age, choose an illuminated Globe of the world or an Interactive Globe. Dry-Erase Write-On Globes make it easy to have social studies material become interactive lessons. 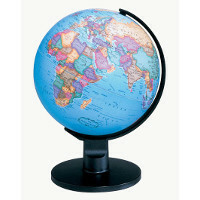 Inflatable Globes in light or dark blue ocean Globes make it fun to learn Geography. Toss around the Globe and have students name the first country they see! Teaching Greek mythology? 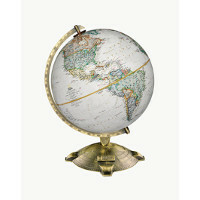 There�s a Titan Atlas Globe for that. Teaching American history and politics? There�s a Freedom Eagle Globe for that. Offices and libraries will become worldly and sophisticated when they incorporate coffee table Globes and small tabletop Globes into the area. 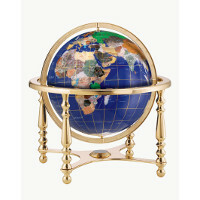 The Bound Premier Atlas and Globe allows you to pinpoint a spot on the Globe you�d like to visit and then look closer at all the things to do in that area. The Moon Globe and Telescope bring you out into the Universe for the astronaut in all of us. Pair them with Space Maps on your wall and truly have an out-of-this-world kind of day. Choose from antique table top Globes, clear transparent Globes, and black ocean Globes for added mystique and character in the office. 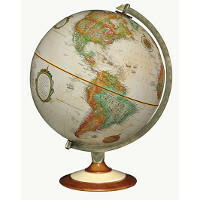 The look of these Globes is tasteful and simple. 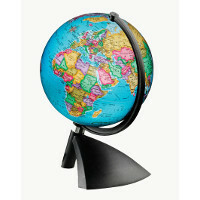 Impress everyone by using the Illuminated Globe as a table Globe lamp for just a bit of light at night. 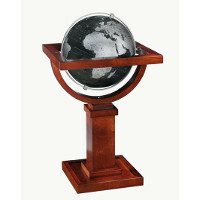 Check out other Desktop Globes for even more options, like Globe clocks and Globes with weather instruments! 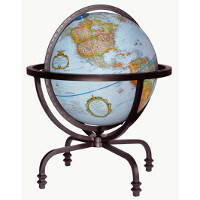 Tell everyone you can show them the world with this collection of table top Globes!